Lynda Morales adder her name to the list of Puerto Ricans who had to leave the island after the many natural disasters that hit it caused the cancellation of its domestic volleyball league. She is headed to Romania to play for Alba Blaj, with the additional distinction of being the first Puerto Rican to ever play in the country. Morales will be replacing Brazilian Renata Maggioni, who had her contract rescinded with the club after she had a season-ending injury. Morales, who played indoor and beach volleyball for Cal State Northbridge, is American-born, but opted to have Puerto Rican sports citizenship. After college, she played in Brazil, Turkey, and the Phillipines, but really blossomed as a player in the Puerto Rican League, where she was a league all star and three-time champion. 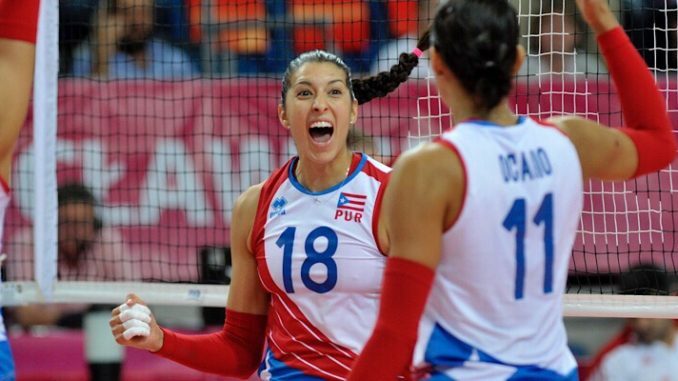 At the international level, the 29-year-old middle-blocker Morales debuted for Puerto Rico’s national team in 2011 and participated in the 2016 Summer Olympics and the 2014 FIVB World Championship. Alba Blaj has won the last three Romanian championships and currently sits in 2nd place of this season’s standings with a 9-1 record. Americans Gina Mancuso (here) and Kyra Holt (here) have also transferred out of Puerto Rico this season. In addition, international stars Fernando Morales (here), Karina Ocasio (here) and Angel Perez (here) also suffered the same fate.